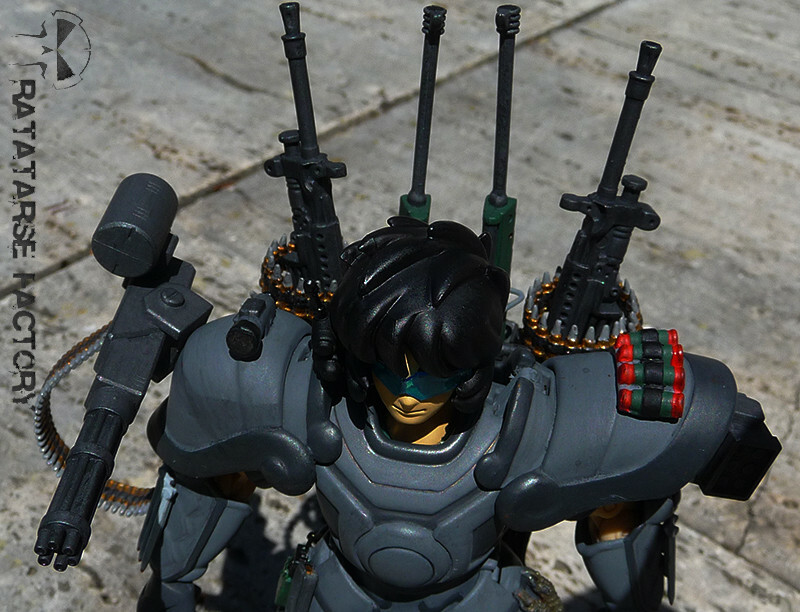 The first point, is that I never loved the Saint Seiya figures. 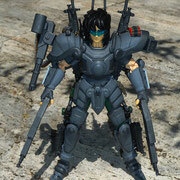 No more the vintage, than the myth clothes, nor the newest myth cloth EX. 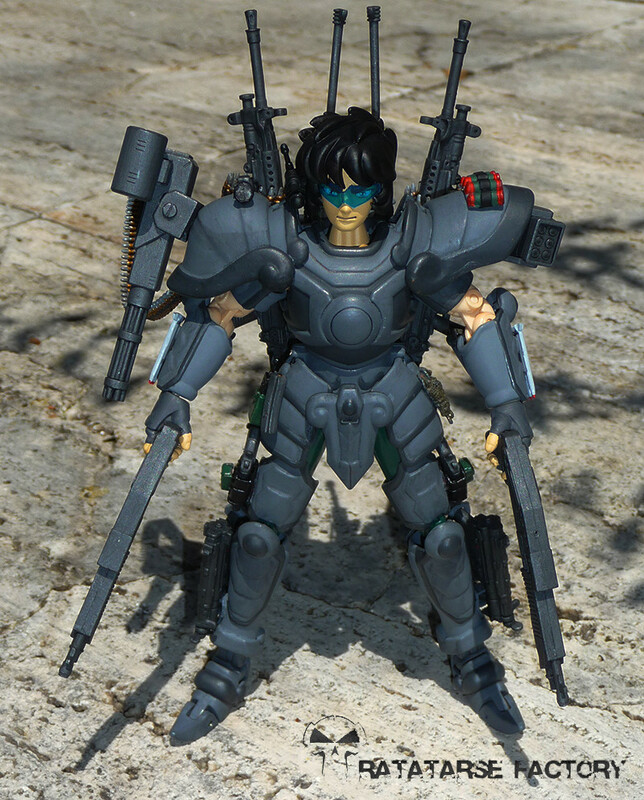 So, a few years later, as I was wandering on a Saint Seiya forum (yes... it exists...), I decided to make a custom knight (or saint, as they call them). 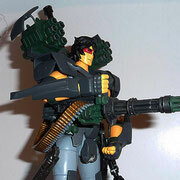 "Maitre Prun'Ho de la Balance La Purée"
"Master Bull'ets That Throw the puree"
And integrate weaponry, it's my job ! 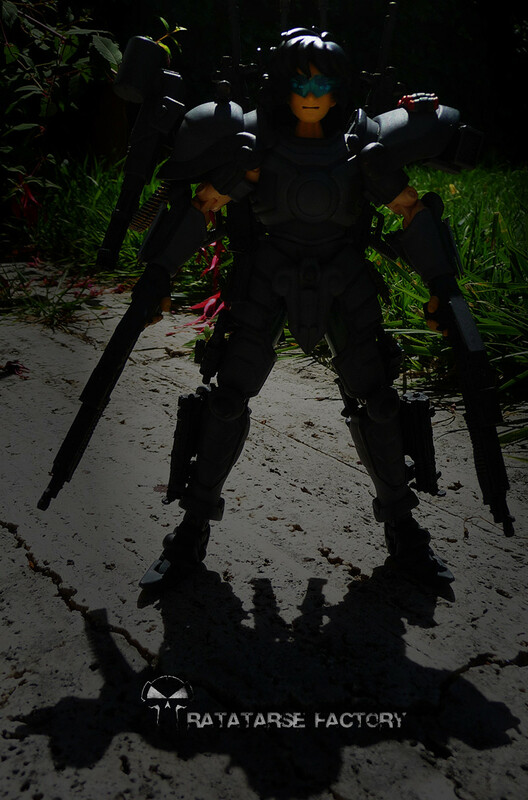 So, after the first attempt (Prun'Ho), I had to make another Metal Knight. 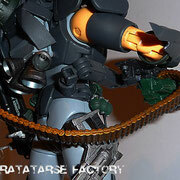 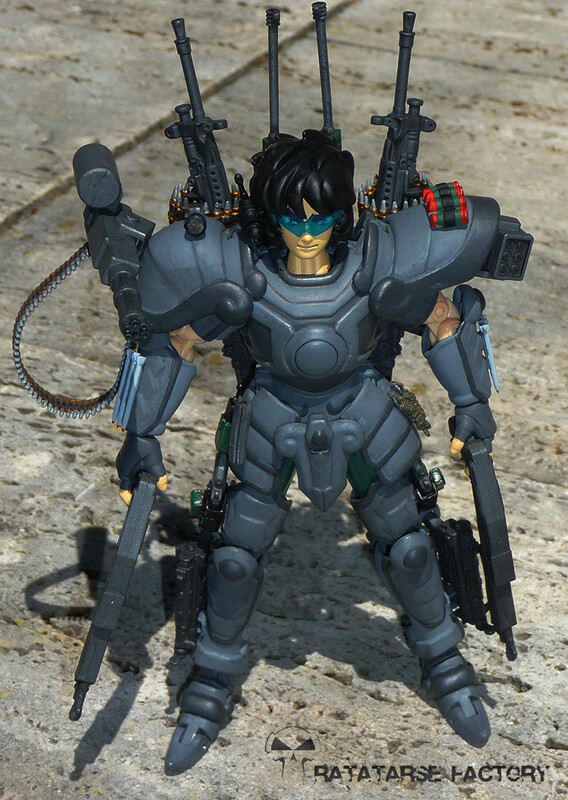 For this one, the base Myth Cloth was the Bear Saint. 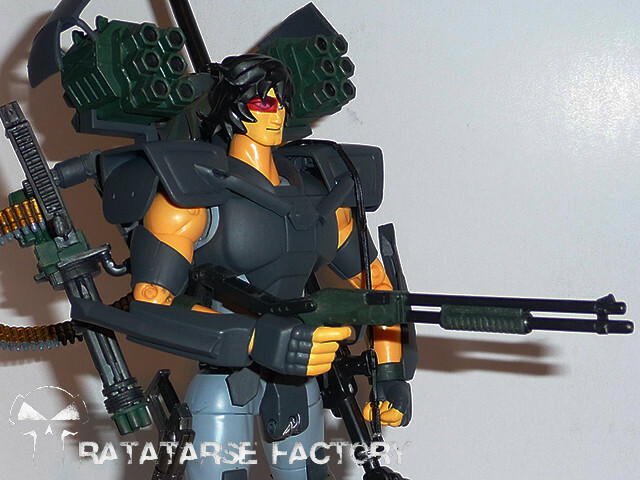 It was taller than the Libra Gold Saint, so evidently stronger ! 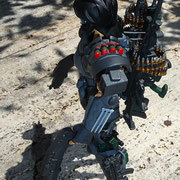 This time again, I cut parts from the armor, the Bear object, etc. 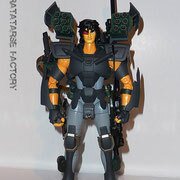 to make diferent gimmicks to this custom compared to the first one. 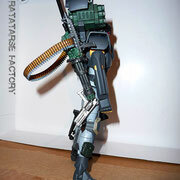 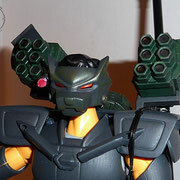 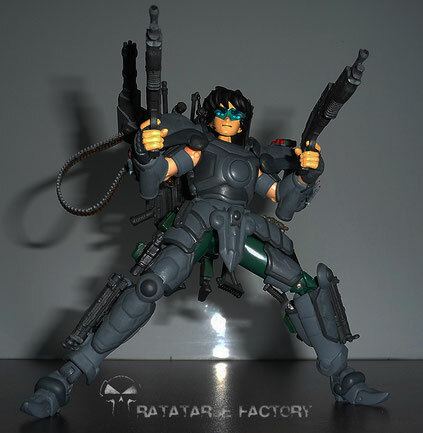 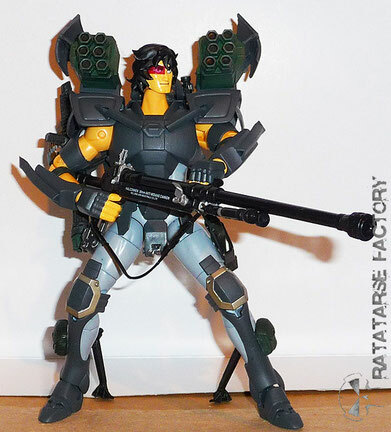 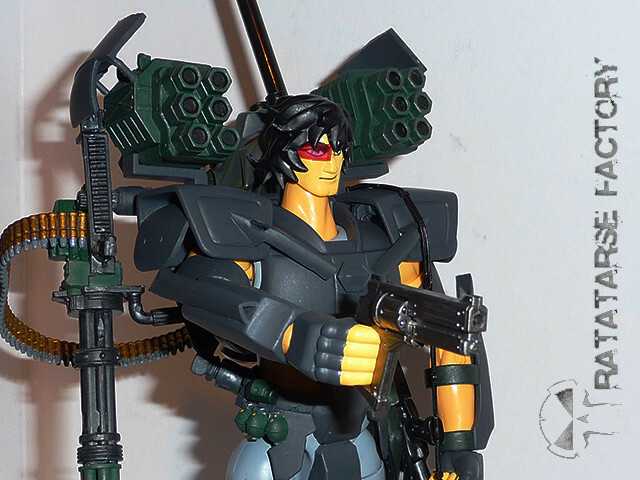 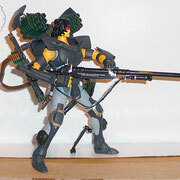 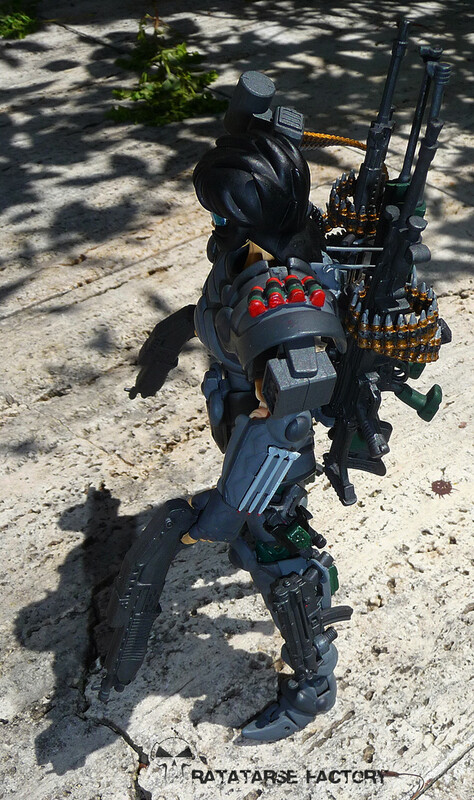 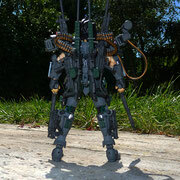 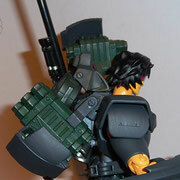 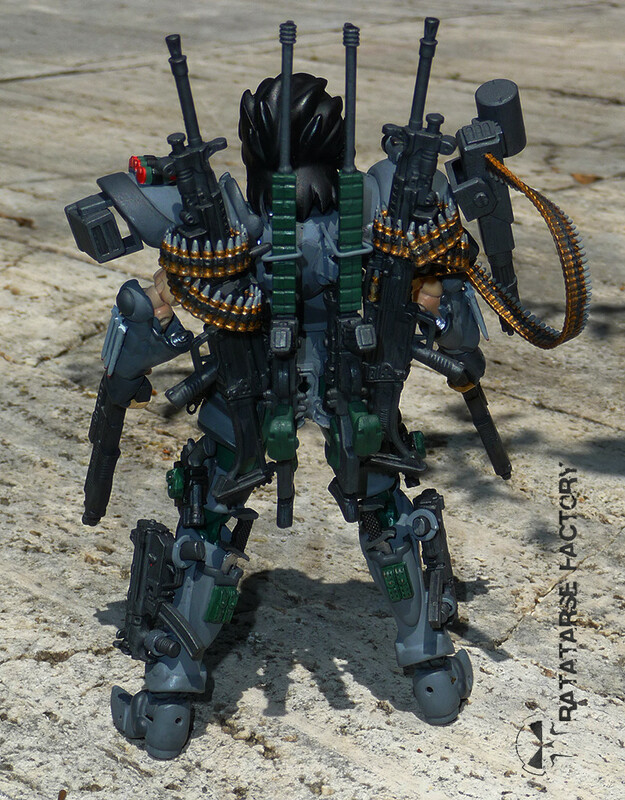 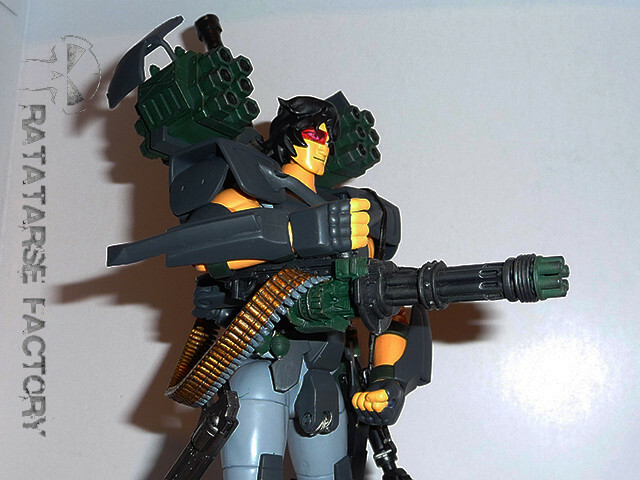 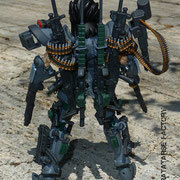 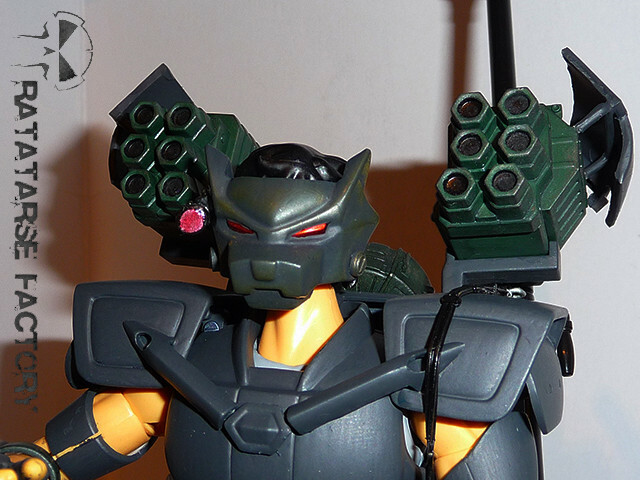 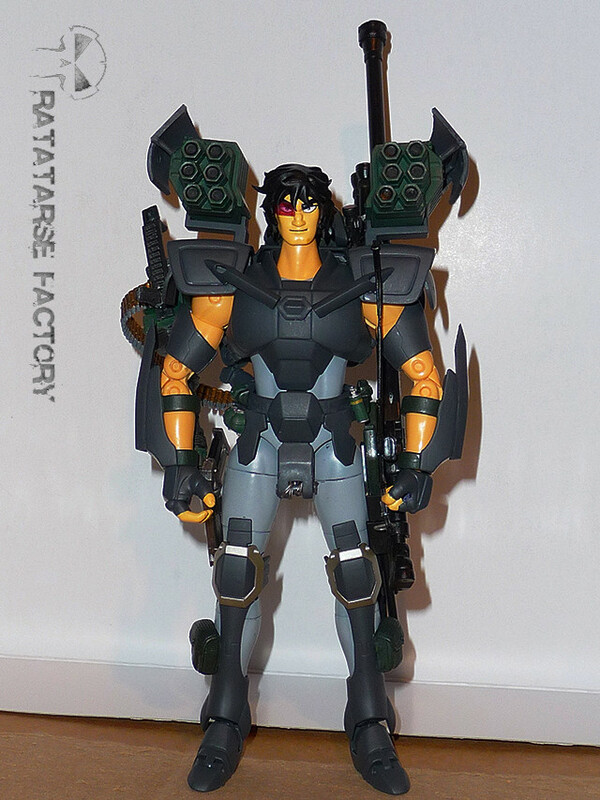 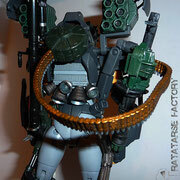 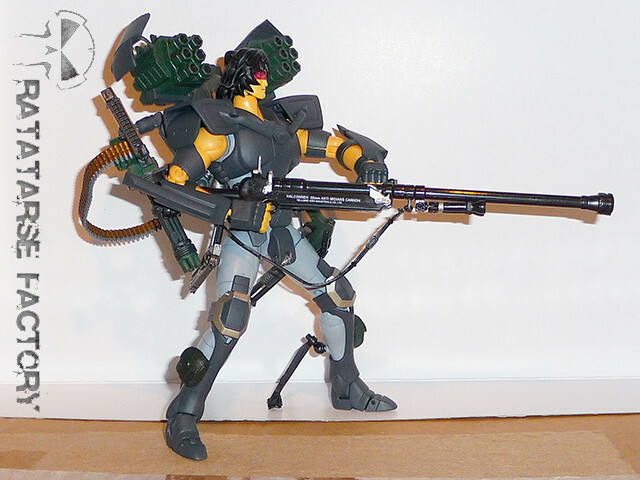 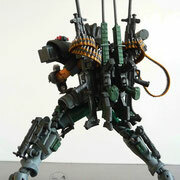 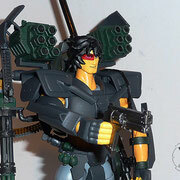 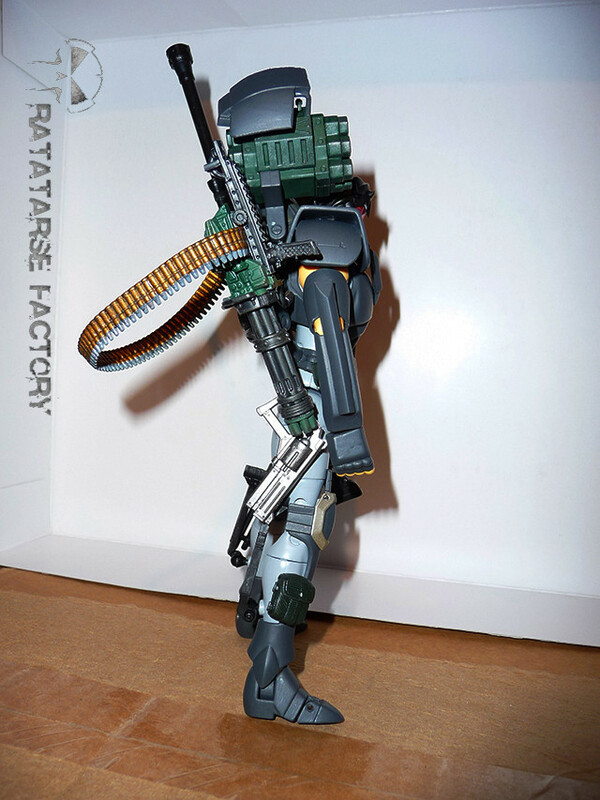 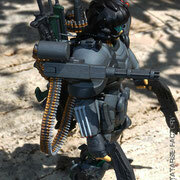 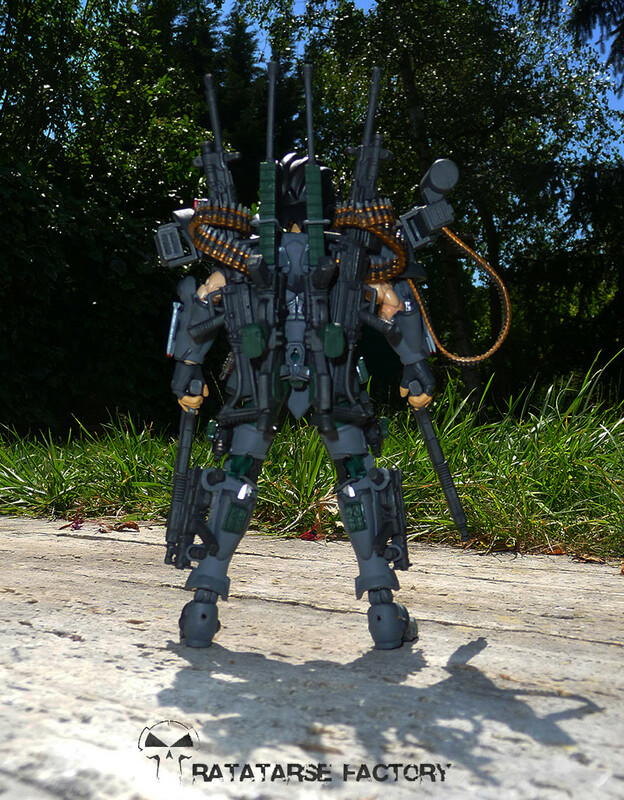 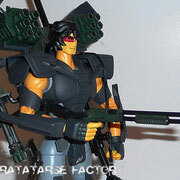 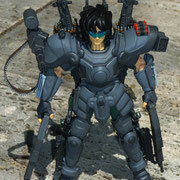 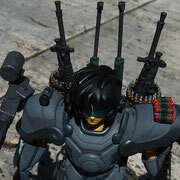 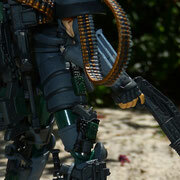 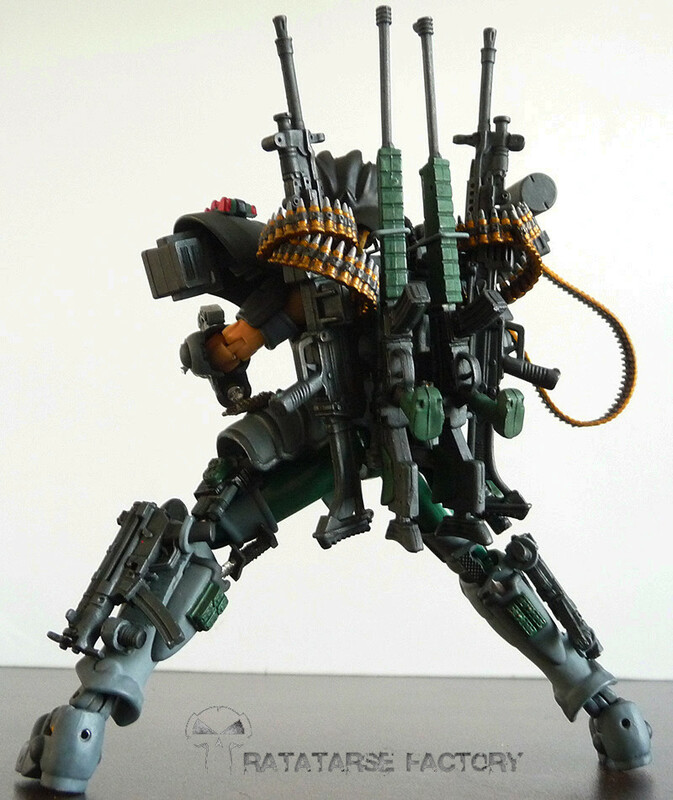 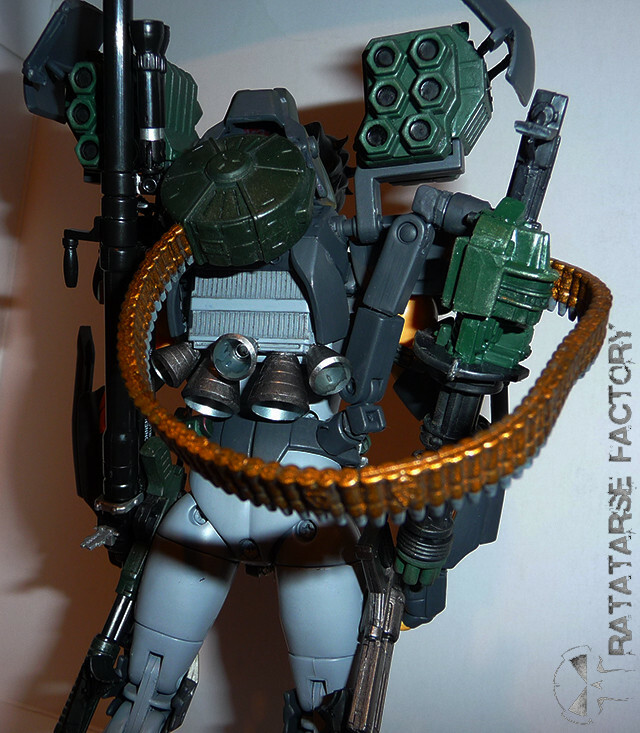 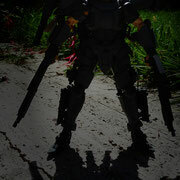 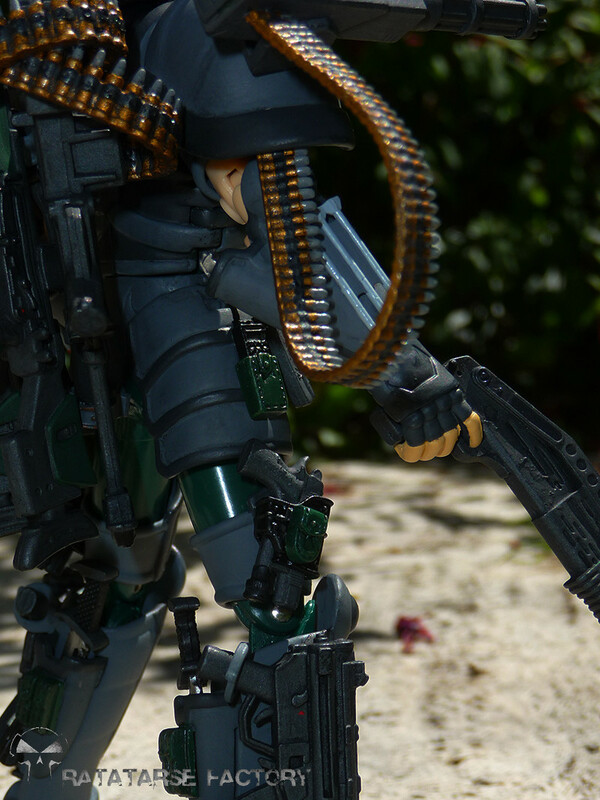 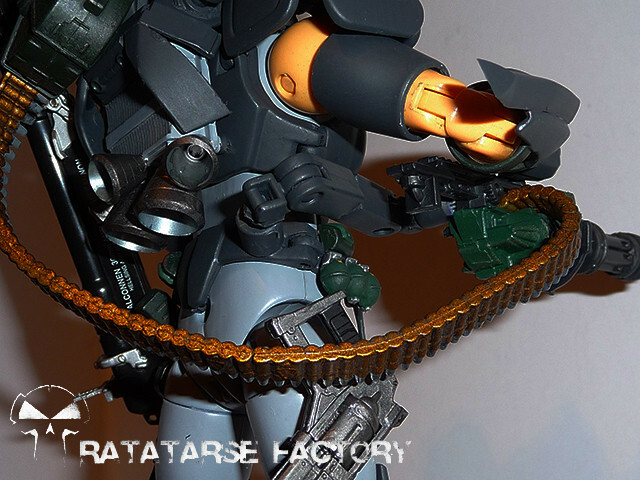 But as a result, this second SSMC custom was truly a cool one with all an universal soldier needs ! 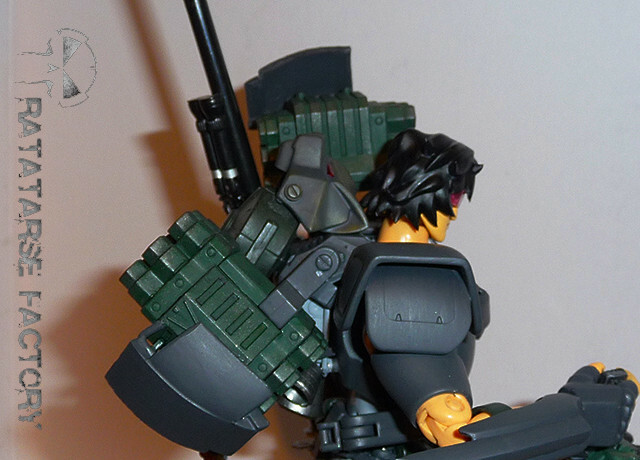 Less armor plates on the figure, so i's a bit lighter, but more stable too ! 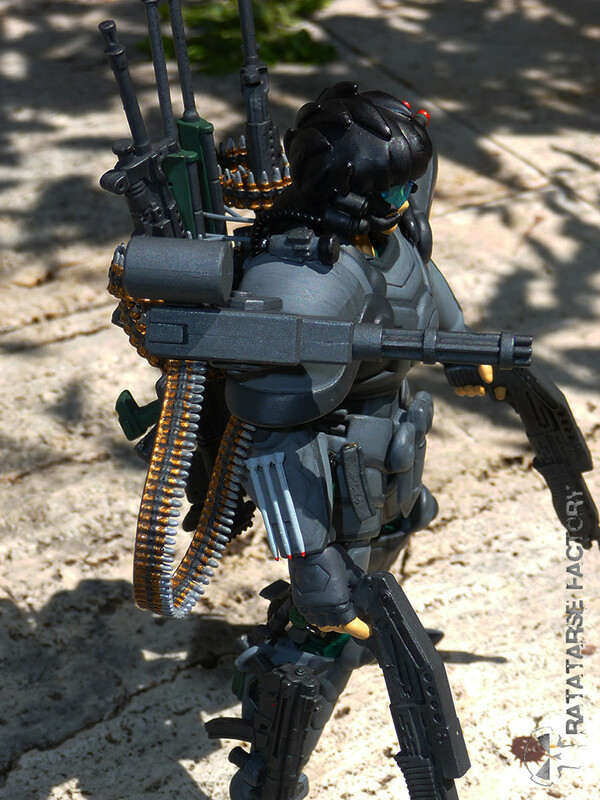 "Maitre Kiki du Bisounours du Gros Prâlin"
"Master Kiki, the Care Bear who shoots big bullets"
This time again, heavy weaponry is included !